A great day – we’ll hit our handstand push-ups today. Lots of variations to develop the strength and really invest in ourselves. We are not inverting in today’s WOD specifically so we can work on strength in this movement and get some density of repititions. For the WOD – Weight should be heavy potentially not UB last round or 2 first few should be hard but pretty smooth. The air squats you should go quick but not rushed. Air squats at speed could be completed in around 28 seconds. A few quick deep belly breaths and then hit those 7 deadlifts. Recovery and breath should occur in the first few air squats. Your heart rate, high cyclical breath, and excitement won’t simmer down the entire workout – and that is just fine. Stay dialed in on your position in the air squat and deadlift, and you’ll accomplish the day’s goal AND wrap up a solid week too. Looking forward to seeing everyone at our ANNIVERSARY PARTY!! NBK Anniversary Celebration is March 3rd at NBK. Save it on your calendar and let’s have a fantastic day together. 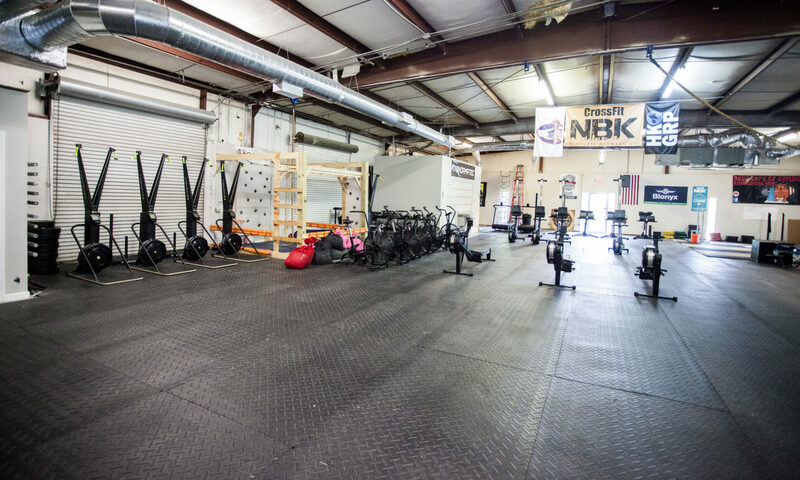 The CrossFit OPEN is approaching, NBK will host 2 events and you are invited!